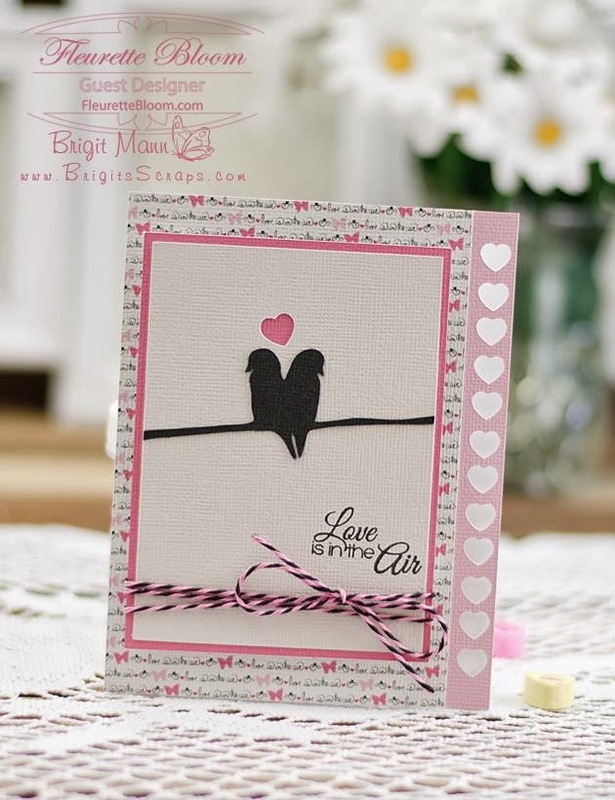 We are just delighted to have the very talented Brigit Mann as our Guest Designer today!!! 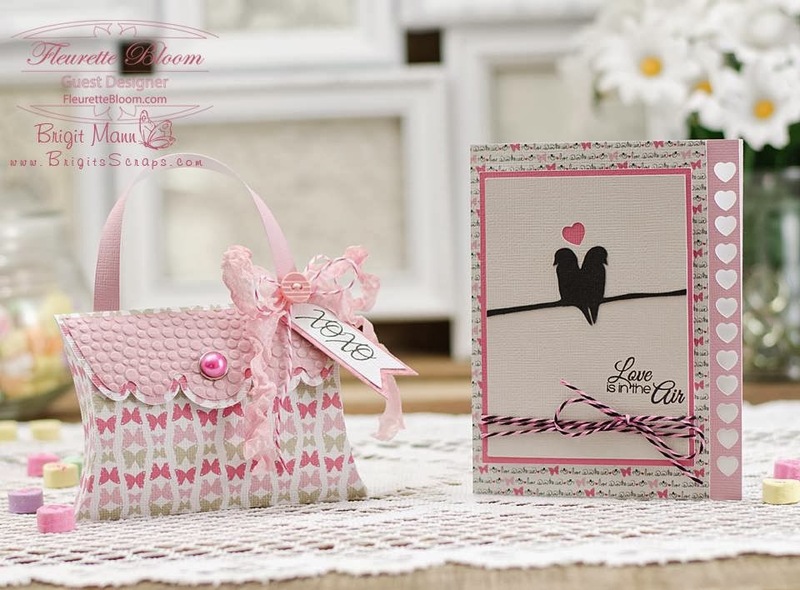 She has created this adorable project using our new "Hearts ~A~ Flutter" digital paper pack along with a few other files (listed below). 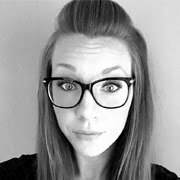 See Brigit's Blog for all the details!!! @ Brigit's Scraps! 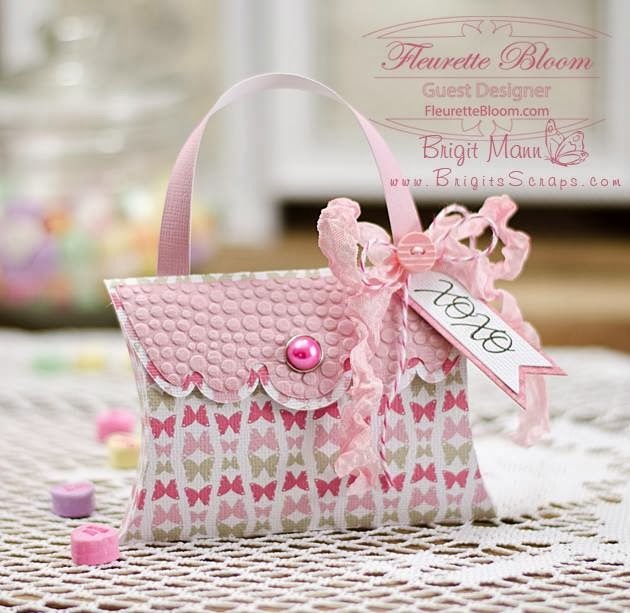 The little purse is actually a pillow box that you can put a treat or a gift in! 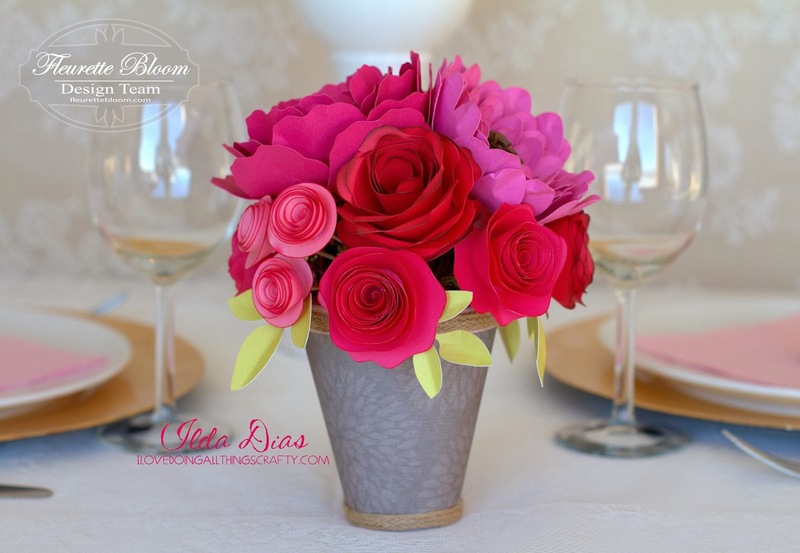 It looks just darling in these colors! 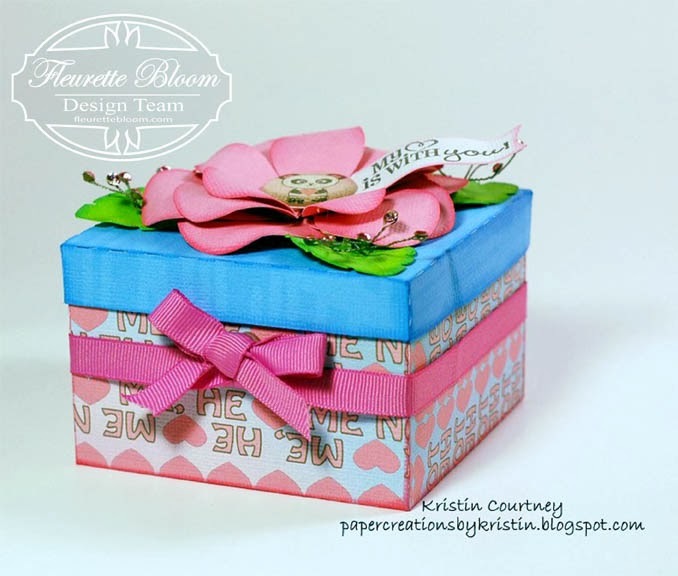 I hope you have enjoyed Brigit's Guest Designer Project as much as we do! If you create one or a version of it, share it on our Facebook page, we would love to see!!! 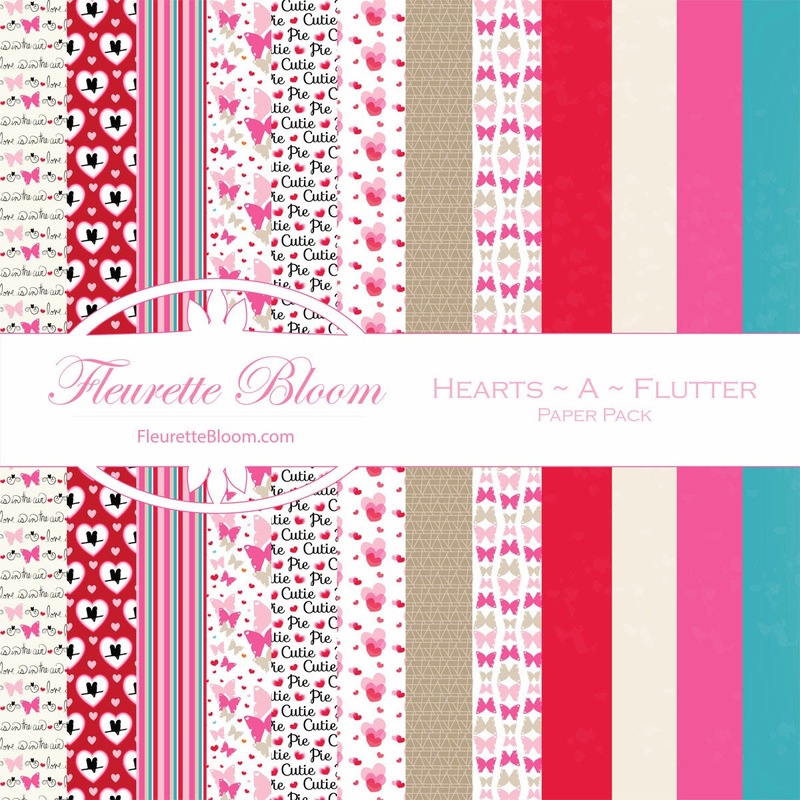 "Hearts ~A ~ Flutter" Digital Paper Pack!!! 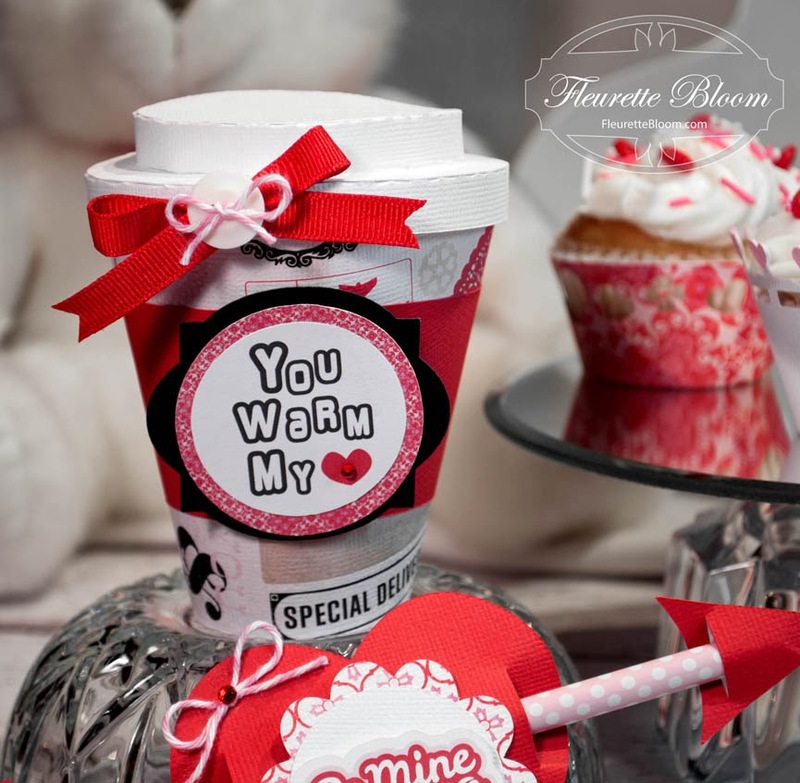 So cute and useful too! 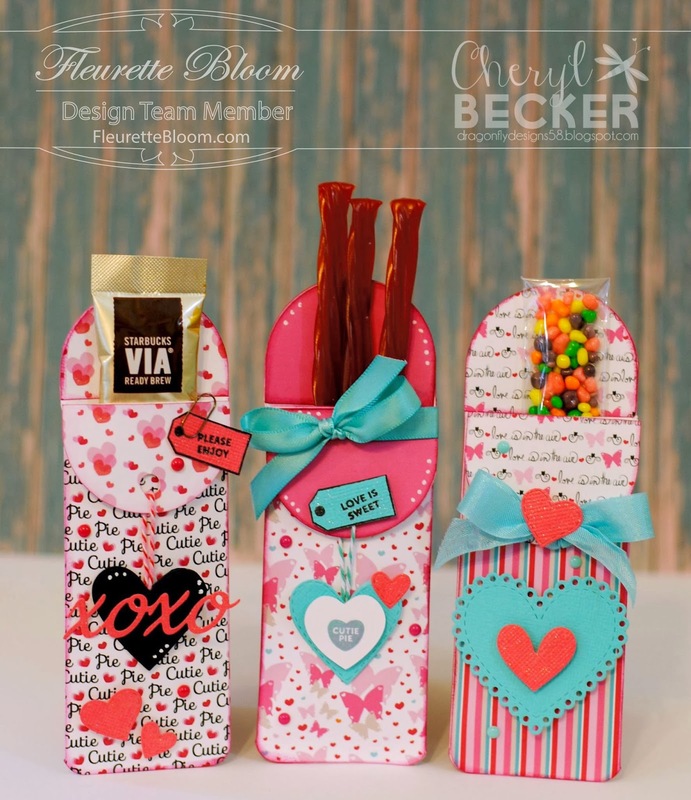 See all the details on how you can create your own on Cheryl's blog @ Dragonfly Designs :) These would make terrific Valentine's for your child's classmates too!!! 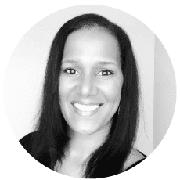 Thanks Cheryl for the great project!!! 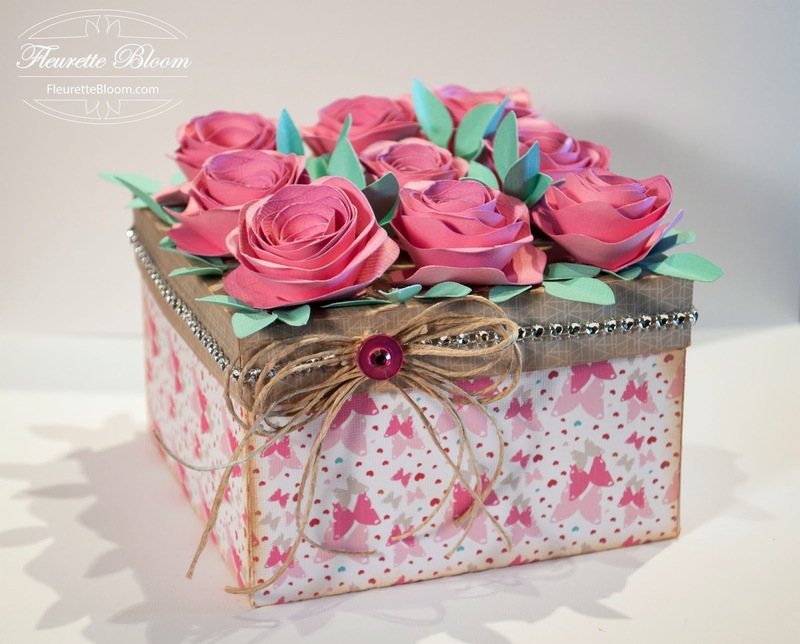 Here is a pretty gift box I whipped together in one evening for a dear friends birthday! Looks like a lot of work, but really it goes together pretty fast! :) Scroll down for all the details on how you can make your own! 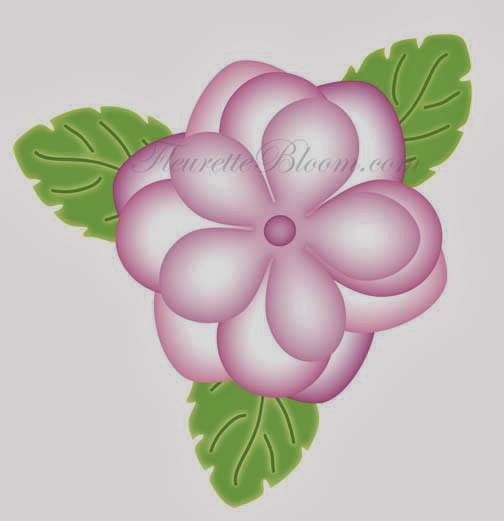 Next I used our Lush Flowers 3D collection (using only the medium rose and leaves). They go together really fast too! 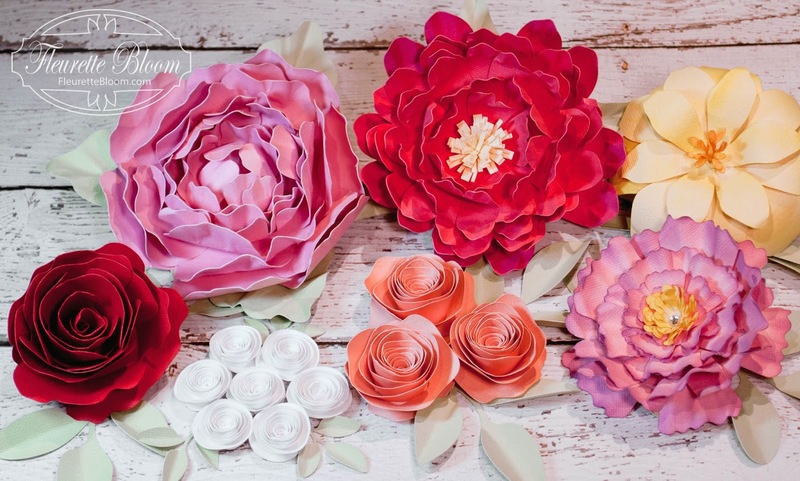 After you cut the roses, spritz with a bit of water and roll them nice and tight, when you are done rolling, just loosen them to the desired size and glue to the base with a little hot glue. 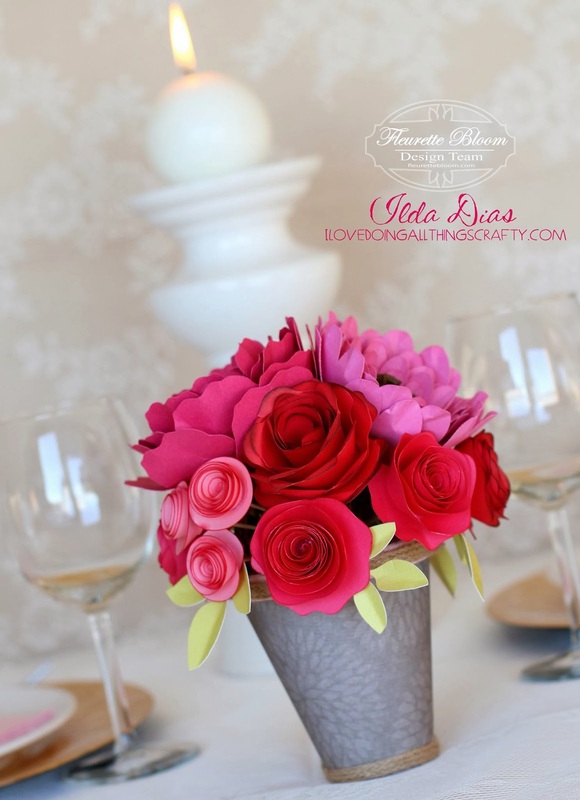 Glue the leaves around the top base of your lid, then glue on your roses, then fill in the center sections with the remaining leaves. 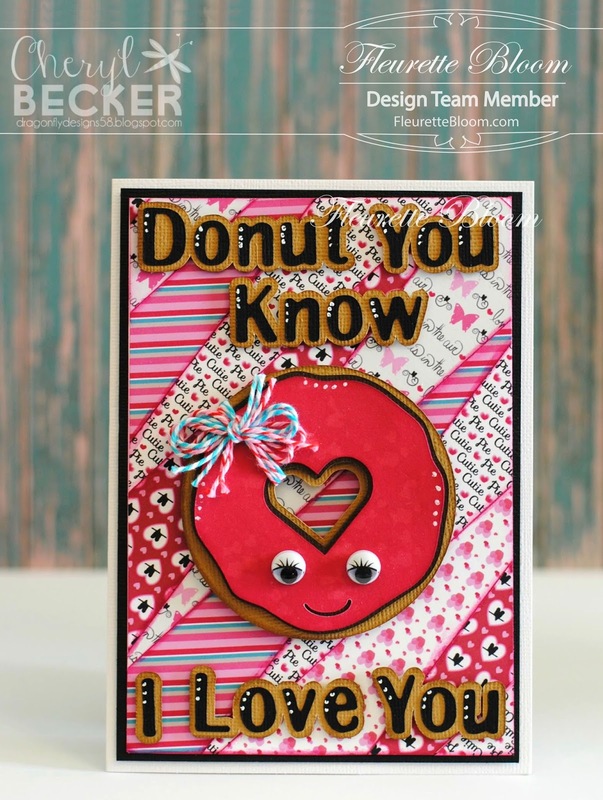 How adorably sweet is this card created by our Design Team Member Cheryl!!! 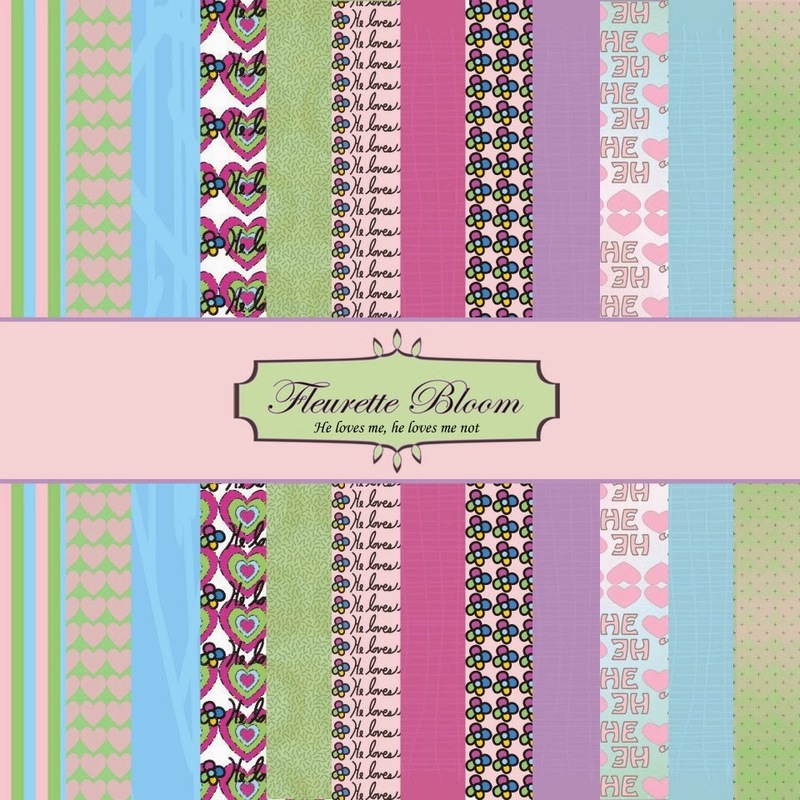 I just love how she created a quilt like background using our new "Hearts ~A~ Flutter" Digital Paper Pack. " 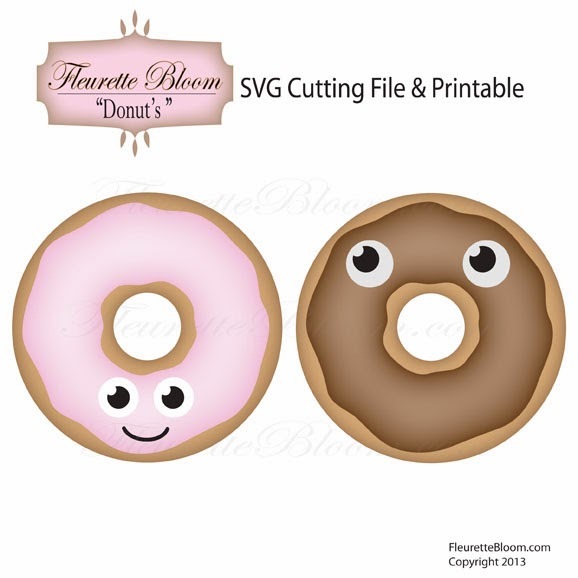 The Donut You Know I Love You" sentiment goes perfect with our "Donut" SVG file! 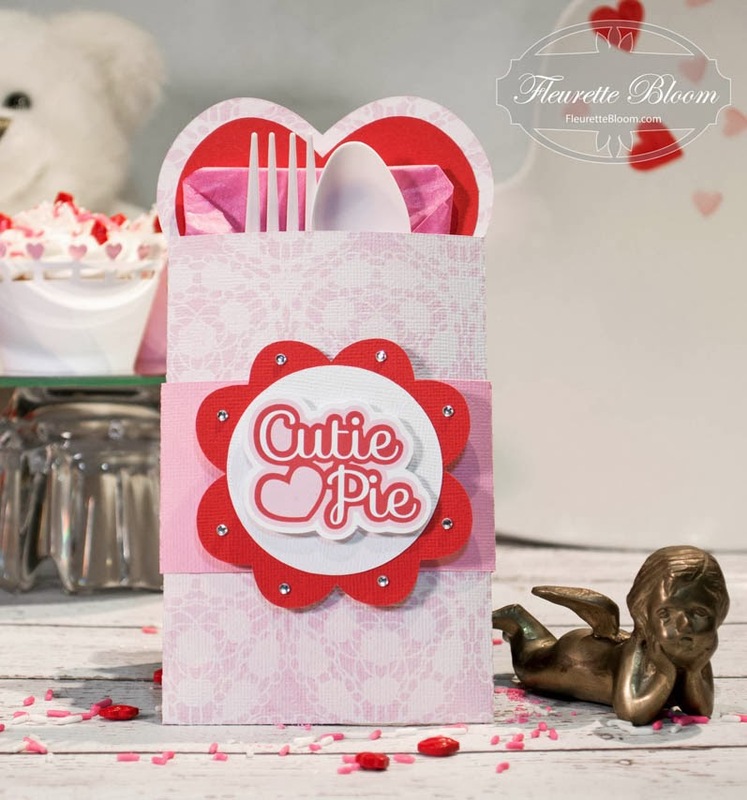 I love how she used the "Cutie Pie" patterned paper to create the main rose, what a nice touch!!! 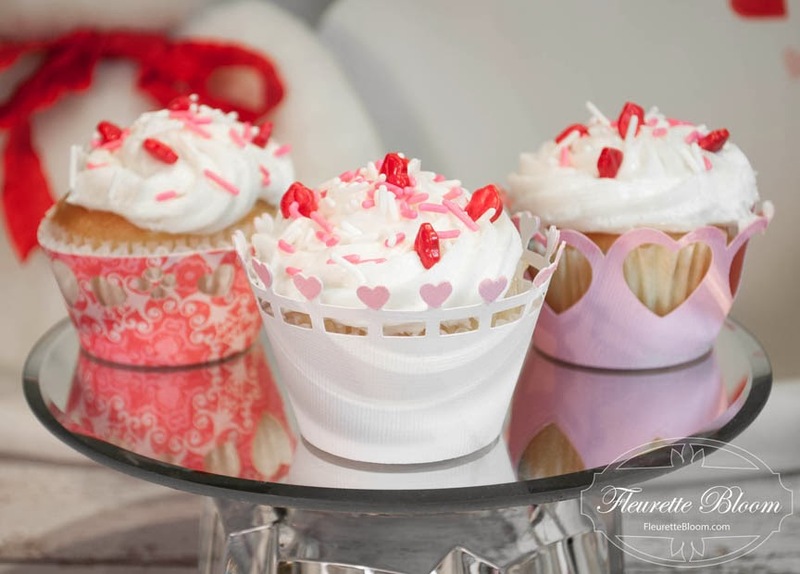 Hearts, butterflies, love birds galore, what could be sweeter for Valentines Day! 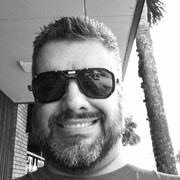 Looking for an elegant, pretty and easy to create card! 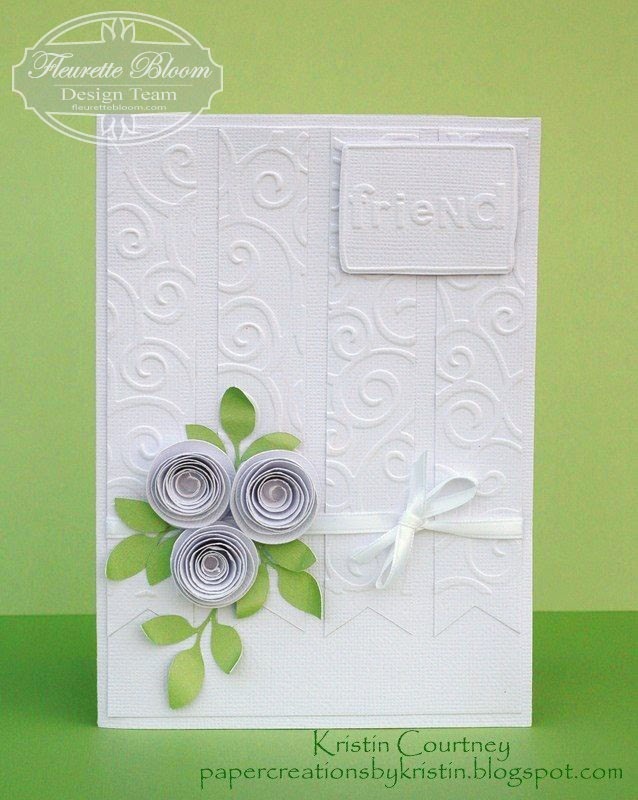 Here is one that Design Team Member Kristin created, its just lovely and would make a perfect card for any occasion! 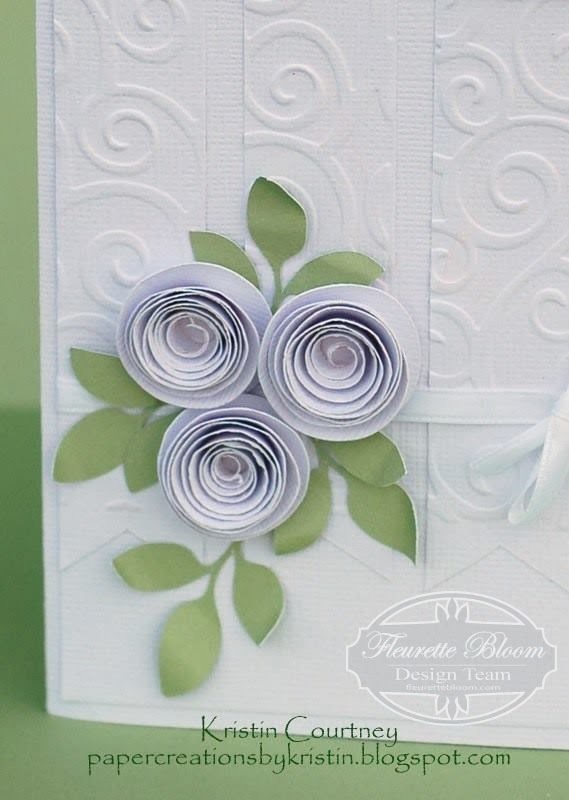 It's sweet enough as a friendship card, pretty enough for a birthday card and absolutely elegant enough to be a wedding card! Kristin used our new "Lush Flowers" 3D SVG Collection along, her embosser to give it the pretty texture and a bit of ribbon. 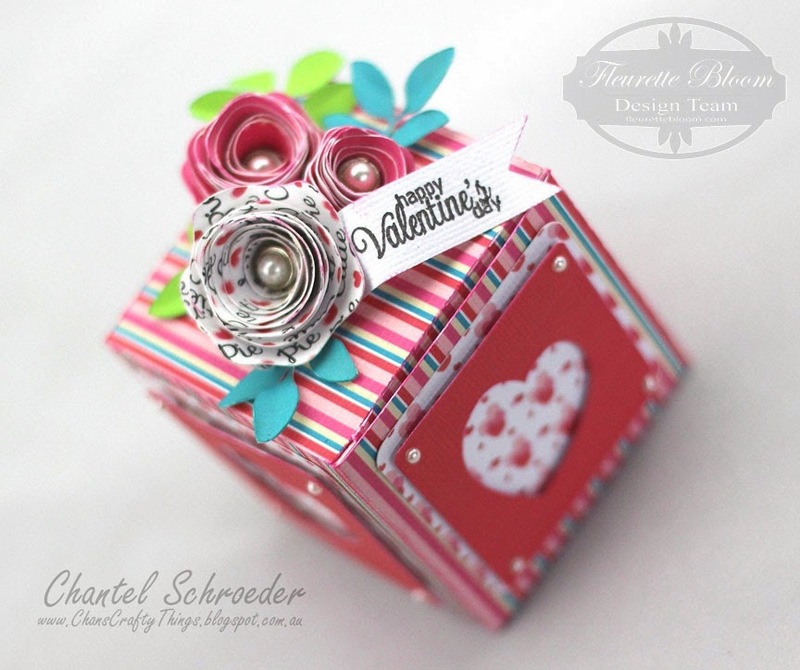 Be sure to pop on over to DT Member Ilda's Blog on how to put it together. 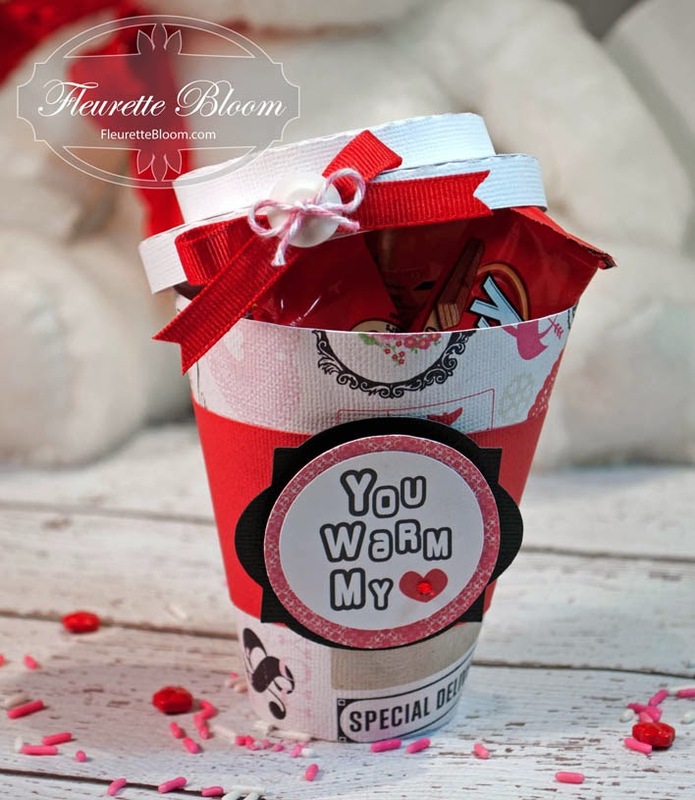 The 3D Coffee Mug SVG is a great way to give a gift! 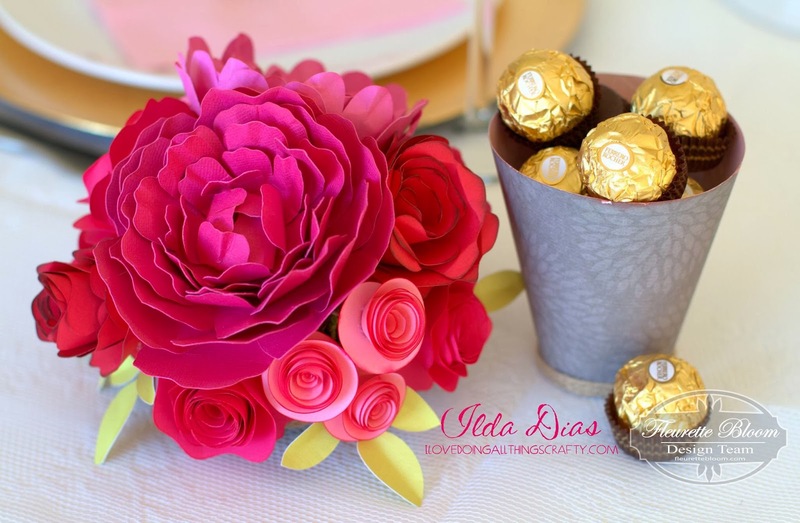 Change the colors and papers and it works for any occasion! 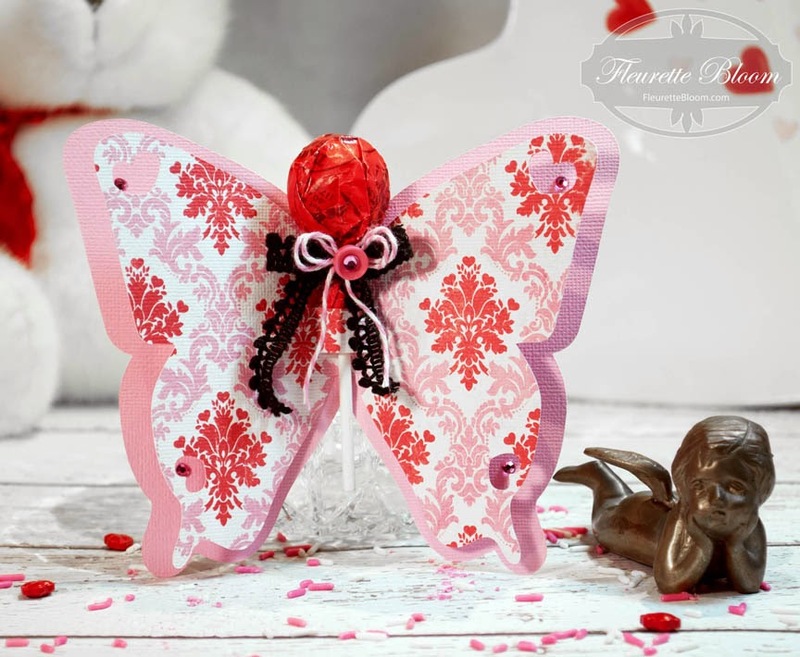 The Butterfly Lolly Pop SVG - A fun addition to a party or gift! 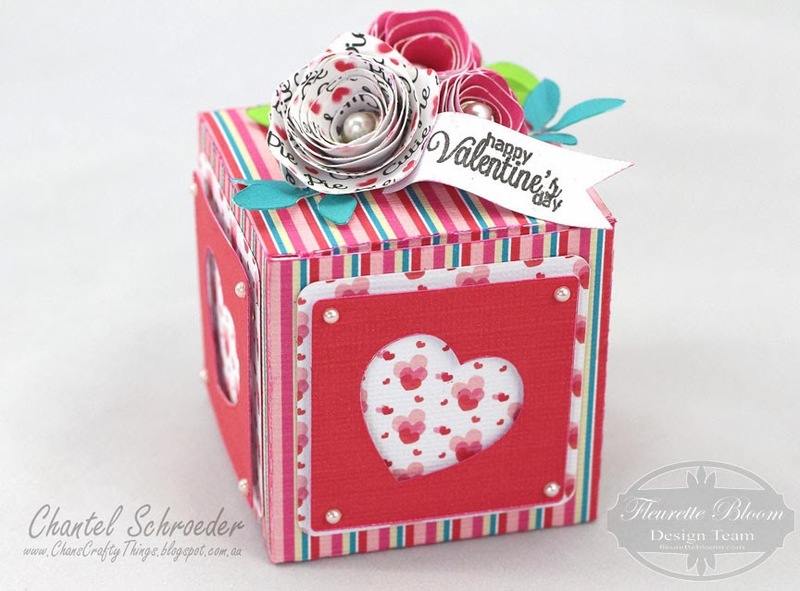 you can use a pencil instead, or use the butterflies on cards, 3D projects and more! 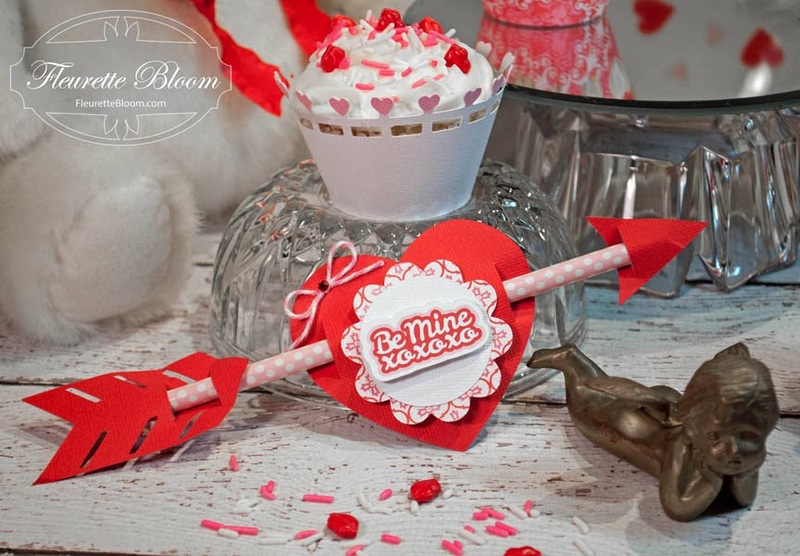 The Pencil Arrow SVG - great for giveaways, valentines or anniversaries! 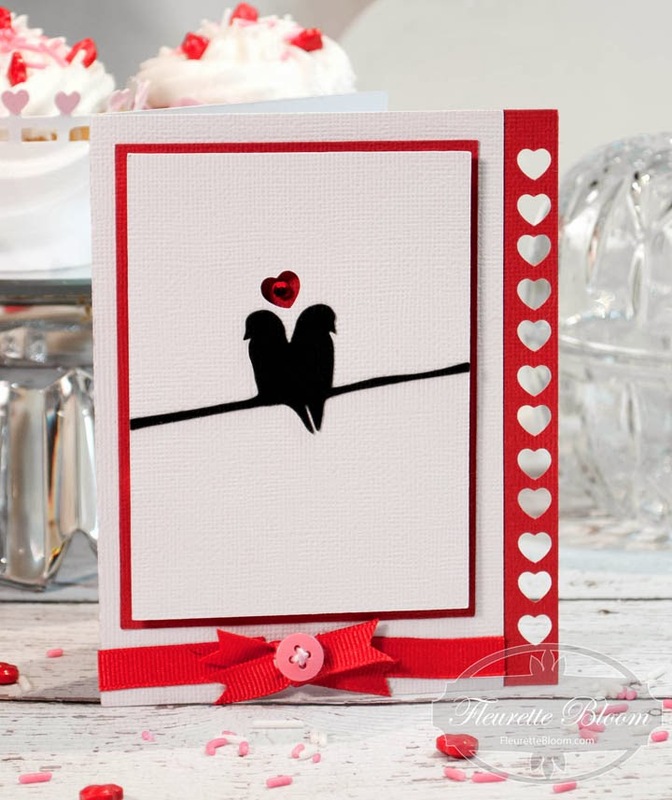 The Love Birds Card SVG - So elegant and easy to make! 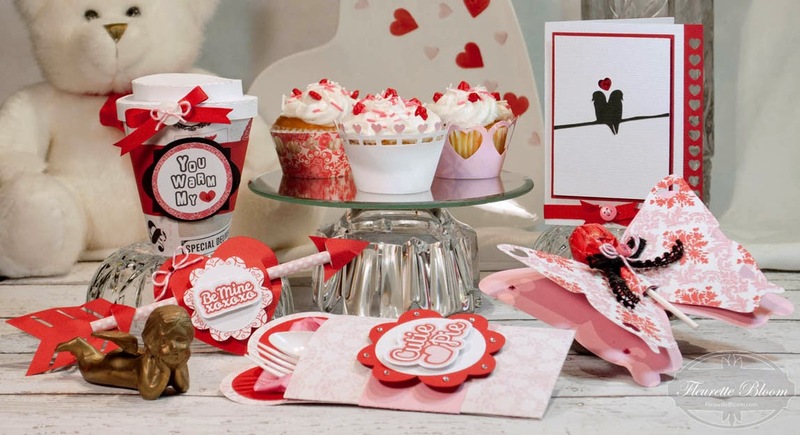 with file variations, so you can get creative making cards in the same vein. adding the guests name to the tags, so much fun! 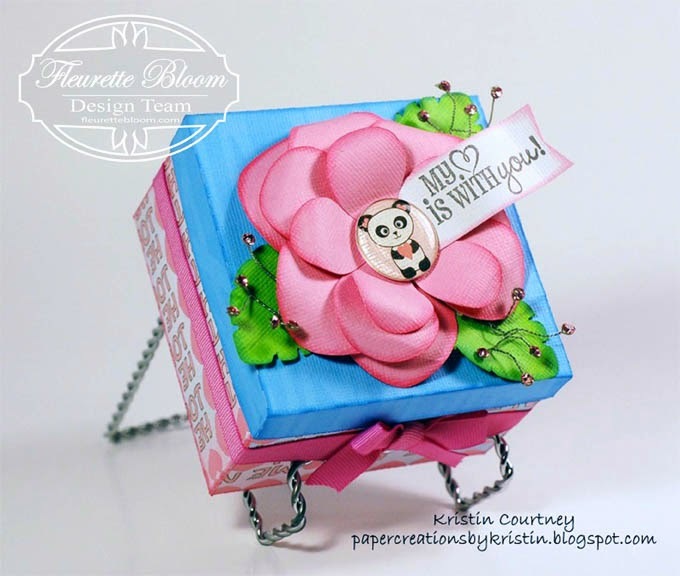 Here is an adorable Panda gift box by DT member Kristin!!! Can you imagine the smile on the persons face receiving this! 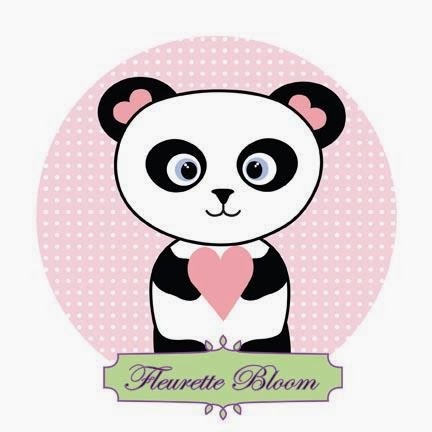 I love how she used our "Panda Printable" with the Epiphany Shape tool, it really adds that extra special touch! 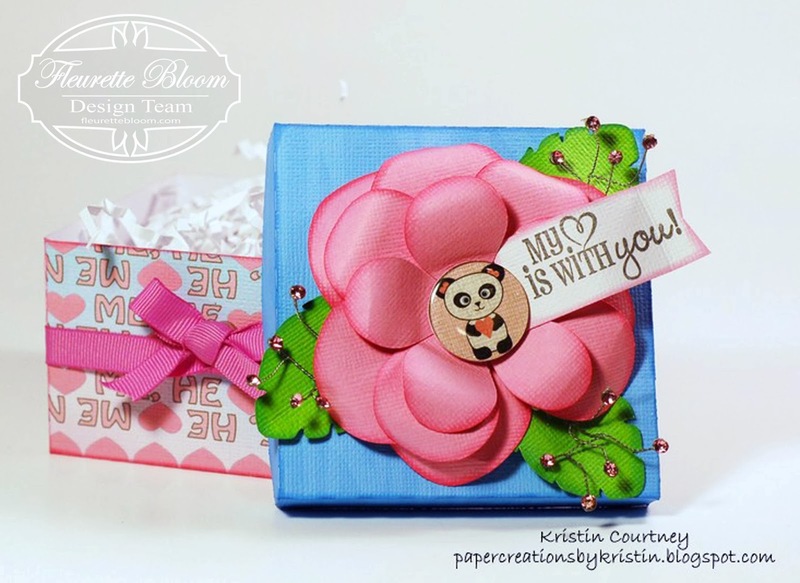 See Kristin's blog Paper Creations By Kristin for all the details!